The primary role of parents is to instil good values in their children and give them the freedom to choose a Life they want to live. And then let them just be. More often than not, children will, with their sense of adventure, make mistakes with their choices, stumble and fall, then they will wake up and smell the coffee, find their way in Life and learn their lessons, even while licking their wounds. After all, isn’t this how we have all grown up? Even so, irrespective of what your child ends up doing with her or his Life, at whatever age, it is your duty as a parent to reiterate to your child that you still trust her or him and that she or he is always welcome to come back home! In the latest Bollywood hit, Yeh Jawaani Hai Dewaani, the relationship between the main protagonist Bunny (Ranbir Kapoor) and his dad (Farooq Sheikh) is under some stress owing to the father’s second marriage. But when Bunny is leaving home for studying in Chicago, his dad tells him, while giving him a tight hug: “No matter what happens, I will trust you. And this will always be your home.” This is not filmi alone. This morning’s papers in India carry pictures of cricketer Sreesanth’s mother hugging and kissing him when he got back home to Kochi after 27 days in jail. Sreesanth’s fall from grace has been in the headlines the last few weeks. No one would touch him professionally (or personally too) with a barge pole. But to his parents’, despite the seriousness of his alleged offences, he is still their child who has come back home after a tumultuous season in Life. No matter how old you are, to your parents, you will still be a child. And what one needs, especially in the face of a crisis, whether self-inflicted or per Life’s plan, or in a way both, is a warm hug that says ‘Everything’s gonna be okay. We love you and trust you.’ People make mistakes. To err is human. Who hasn’t made a mistake? 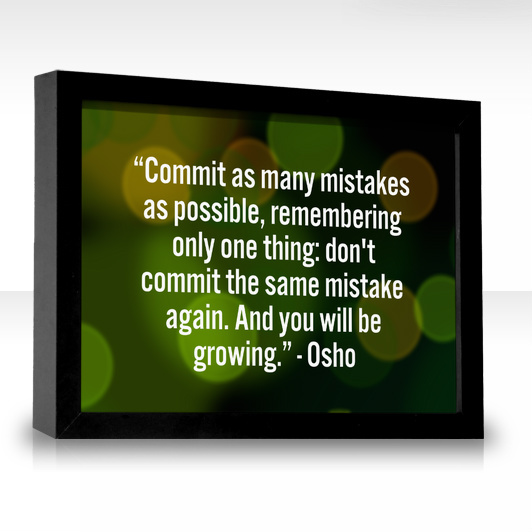 Sometimes, the mistake may affect only the person who has committed it. Or her or his immediate family. At other times, a whole lot of people may be affected. Making mistakes is a part of Life, integral to growing up. Analyzing, dissecting, learning from a mistake is the key. But far more significant is the role of parents who must continue to reassure their child, even if that child now is grown up and has children, and should not have done what she or he did, that whatever’s happening all part of Life’s ways to test you and teach you. To be sure, there are no guarantees that children who have been taught the right values by their parents will live by them all their lives. Normally they do. And logically they must. But people do go astray. They are adventurous. Or they are simply seduced and blinded by the circumstances that Life places them in. There’s an old saying in Hindi: “jab subah ka bhula hua sham ko ghar laut aata hai, usse bhula nahin kehte”. It means: When the one who went astray comes back home pining, embrace him. Don’t ostracize him. Good parenting is perhaps a responsibility that never ends. Obviously, what appears to children to be a generation gap, is actually years of experience of having lived and faced Life, stumbled, fallen, gathered and stood up to walk again, coming into play to counsel, to suggest, to guide, to lead. Of course, an integral part of that responsibility, is to teach children who have ended up creating or getting into serious situations, to face the consequences of their actions. Or if they haven’t done wrong, but have been victims of circumstance, to teach them to fight to clear their name. A parent is any child’s first hero (or heroine). And no matter what happens, a reassuring parent stands a better chance of counselling and guiding a person in distress. I write this from experience. In the face of inscrutable circumstances, with no way out in sight, when it seemed like all was over, and the whole world (including my immediate family) had written me and my wife off, my dad, held my shoulders, and told me and my wife: “You both will come out of this. Keep the faith. You are winners!” Those were compassionate words. But more than that they were trusting. And that trust mattered, when in every material sense, we were losers! 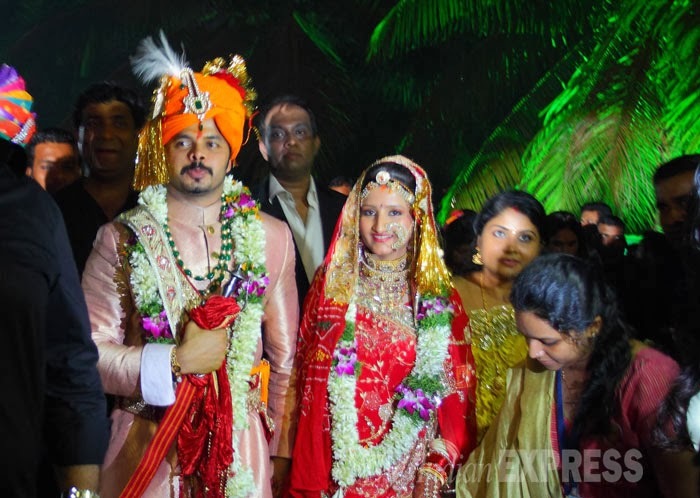 Hopefully, your children will not lead you to situations like the one Sreesanth led his parents to, or I led my parents to, but if they do, remember, you have a bigger role to play than just grieve over your children’s fate. And that role is to be a true parent – a hero, an inspiration, a friend who continues to trust despite the evidence, the circumstances and the odds, and the one sage counsel who guides the person in the dock to do, from hereon, what’s right than what appears to be right!